The caterpillars ringbark the roots, and the plant responds by growing gall-like tissue on the underground root, upon which the caterpillars then feed. The caterpillars pupate at the bottom of their tunnel. 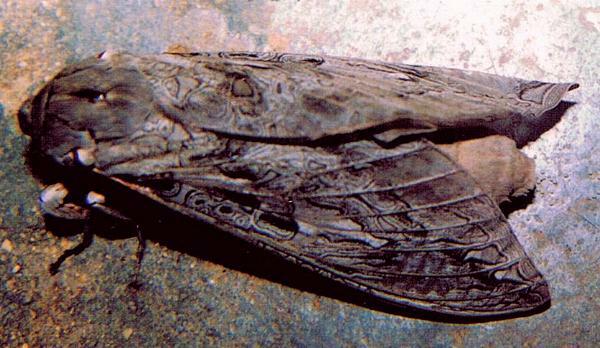 The pupa can have a length up to 8 cms. When metamorphosis is complete, the pupa squirms up to the top of its tunnel and pushes itself half out when the adult moth is about to emerge. 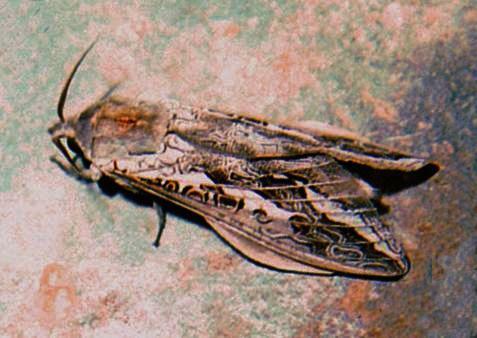 These adult moths are grey-brown with variable white flashes and other more complex markings on the forewings. The hindwings are brown, fading to pale brown at the margins. The males are usually smaller than the females, and have more prominent white markings. 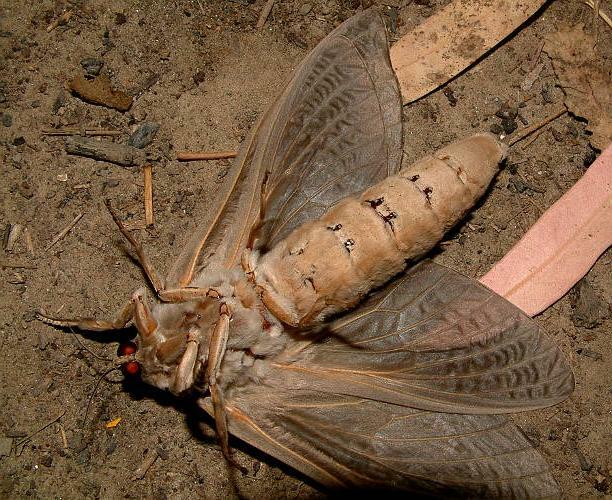 Both sexes of moths have unipectinate antennae. The wingspan of the male is up to 12 cms. The wingspan of the female is up to 17 cms. 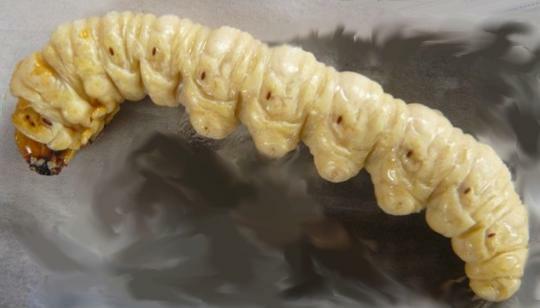 The caterpillars, pupae, and adult moths were used as food by the people of the Wirrangu Nation in South Australia. Moths of Australia, Melbourne University Press, 1990, fig. 17.4, p. 150. Entomological Society of Victoria, 2015, pp. 22-23. CSIRO Publishing, Melbourne, 2018, pp. 25-26, 45, 48, 51, 57, 59, 65-66, 188, 212, 230, Plate 2: figs. A and B. Volume 4, Part 4 (1932), pp. 515-517, figs. 31-34.